With a 6000lb capacity and wide circular base for maximum stability, ESCO are the only stands you're going to want to have in your garage! From now until September 27th take 10% Off all ESCO products when you enter Promo Code ESCO10 at Step #4 during Checkout. Offer valid until Sept 27th, 2016. Multiple codes, possible hpfp issues? 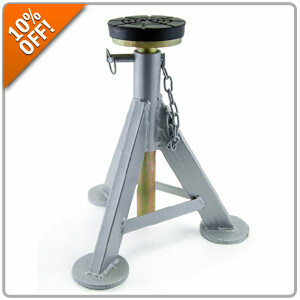 Quick Reply: 10% OFF All ESCO Jack Stands at Pelican Parts!